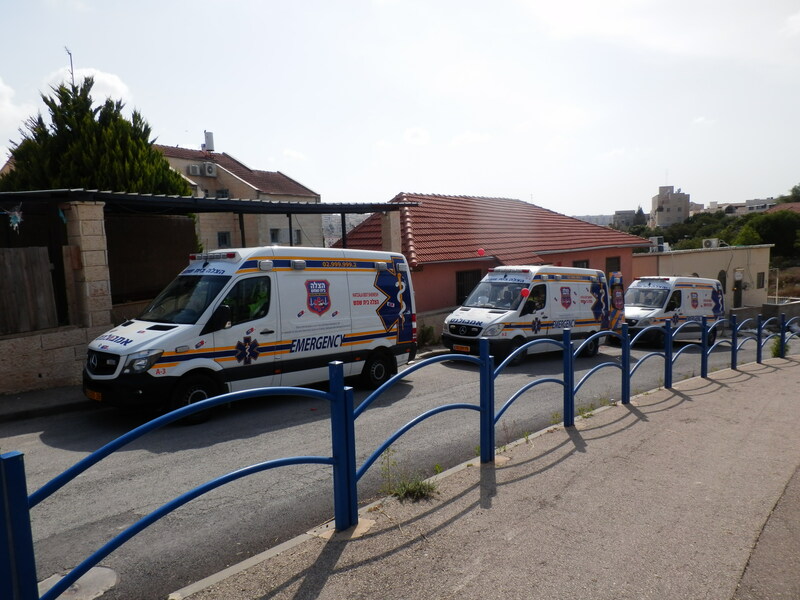 A stretcher: A Ferno stretcher, which is standard use across the EMS services in Israel, so that a rapid transfer to an ALS ambulance can be performed if necessary. Birthing Kit: Hermetically sealed pouches which contain all the tools necessary to deliver a baby in someone’s home, in the ambulance, or even in the hospital! CPR Kit and Defibrillator: A kit that contains airways, tubes and other critical pieces of life-saving tools which are necessary when performing CPR. 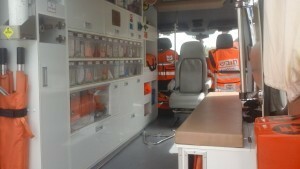 Each ambulance also carries a defibrillator which is used to shock a patient’s heart back into rhythm in the event it is stopped. Backboards, neck braces, and stabilization equipment: Used for trauma patients, these items are used to ensure a patient is stabilized and immobile during the transport to the hospital, to prevent spinal injury or further damage to the spine and neck. The most important equipment: Toys for the kids! A calm patient is the best patient, and our stock of toys is a winner for calming down our younger patients. 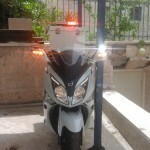 We are proud to announce the newest addition to our fleet of vehicles, a Sym Joymax 250 motorbike. This bike is fully equipped with a premium emergency warning package, will be used by first responders to quickly and expeditiously respond to emergency calls, with the added convenience of beating traffic! The bike is fully equipped with a full response bag, a large O2 tank, and an AED.